ENLIGHTEN is a collaborative project coordinated at the Copenhagen Business School (CBS), and includes the University of Amsterdam, the Central European University and the Institut d’études européennes – Université Libre de Bruxelles as academic partners. 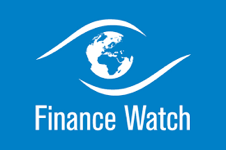 We are extremely fortunate to also have four non-academic partners that are at the cutting edge of policy developing in both fast- and slow-burning crises: the European Trade Union Confederation, FinanceWatch, Housing Europe, and the Tax Justice Network. 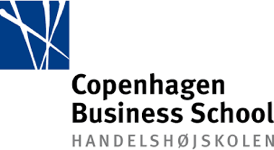 Established in 1917, CBS is one of the largest business universities in Europe. CBS has more than 600 full-time researchers, 600 administrative employees and well over 19,000 students, of which 2,900 are international students. CBS is organized in one faculty comprising 15 departments as well as a large number of research centers. With the distinctiveness of its diversity, CBS aims to offer strong research and education programmes in classical management disciplines (including finance and economics, accounting and operations management, marketing, strategic management and organisation) and in disciplines that place business in a wider social, political and cultural context. In the ENLIGHTEN project, CBS has the lead of the and also coordinates research on Youth Employment Crisis and Inclusive Growth. UVA has its origins in the Athenaeum Illustre (founded in 1632) and, with nearly 30,000 students, over 5,000 employees and an annual budget of almost 600 million euros, is one of the largest general research universities in Europe. 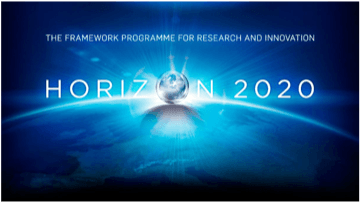 It belongs to the League of European Research Universities and maintains intensive contact with universities all over the world. The university's academic research is at the top of the international league in many respects and UVA aims to offer an inspiring, broadly oriented international academic environment where both staff and students can develop their capacities to an optimal level. The UVA is characterised by a critical, creative and international atmosphere, open-minded and strongly engaged with society. In the ENLIGHTEN project, UVA will oversee the research on Banking Crisis and Financial Stability and is partly in charge of the Summer School. Founded over 175 years ago upon free-thinking principles, the ULB has consistently committed itself to the defense of democratic and humanist values and has developed into a leading research and teaching university of global prominence with 21,000 students The University's pioneering European engagement was crystallized by the foundation of one the continent's oldest interdisciplinary and autonomous research and teaching institutes wholly dedicated to EU studies: the Institut d'Etudes Européennes (IEE). 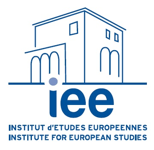 The IEE born in 1964 is a Jean Monnet Centre of Excellence that relies on a hundred affiliated academics/researchers and promotes EU research carried out within the research units and centres of its partner faculties (Philosophy and Social Sciences, Law and Criminology, Solvay Brussels School Management). As for its high quality teaching offer in close interaction with research activities, over 7,500 students have graduated in the past 50 years. In the ENLIGHTEN project, the IEE-ULB oversees the global research on Legitimacy of European modes of Governance but also contributes to research on Deficit reduction and Continuity of Public Services, as well as on Youth Employment Crisis and Inclusive Growth. The IEE-ULB also leads all activities related to impact and dissemination. The Kozep-europai Egyetem (Central European University, CEU) is an internationally recognized institution providing post-graduate education in social sciences and the humanities in Budapest, Hungary. Established in 1991, CEU attracts nearly 1000 doctoral and masters students each year from almost 80 countries, primarily from Central, Eastern and Western Europe, and Central Asia. CEU aims at excellence in the mastery of established knowledge, excellence in the creation of new knowledge in the social sciences and the humanities, and excellence in developing the policy implications of both. In order to achieve this, the university has built on a combination of American and European, including regional, intellectual and academic traditions; on commitment to social service; and on its own academic and policy achievements in helping to transform communist inheritance amidst strong regional inequalities. The university is oriented to interdisciplinary research on, and the study of, social change and the policy implications of transition to open societies. 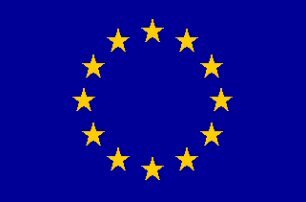 In addition, emphasis is placed on European Union affairs, as well as on the special features of non-Western democracies. In the ENLIGHTEN project, CEU leads research on Deficit reduction and Continuity of Public Services. TJN is an independent international network launched in 2003. TJN is dedicated to high-level research, analysis and advocacy in the field of international tax and the international aspects of financial regulation. TJN map, analyse and explain the role of tax and the harmful impacts of tax evasion, tax avoidance and tax competition. The world of offshore tax havens is a particular focus of their work. TJN’s core goals are to create understanding and debate, and to promote reform, with a particular focus on impact in poorer countries. TJN is not aligned to any political party. TJN is an expert-led organisation that has taken the lead civil society role in global tax policy debates. TJN have been consistently engaged in questions of tax reform at both an international level and within Europe. In the ENLIGHTEN project, TJN co-leads research on Banking Crisis and Financial Stability with UVA. ETUC was founded in 1973 to represent and promote worker interests at a European level. It consists of 85 national trade union federations in 36 countries, plus 10 European trade union federations. The European Union, the Council of Europe, and the European Free Trade Association all recognize the ETUC as the only cross-sectoral trade union organization representing workers at European level. This official status is enshrined in the Treaty of Maastricht (1992). The ETUC is working for a Europe with a strong social dimension, which focuses on workers' interests and well-being. In the ENLIGHTEN project, ETUC co-leads research on Youth Employment Crisis and Inclusive Growth with CBS. FW, an international association under Belgian law (AISBL), is an independently funded, non-partisan, non-profit association dedicated to making finance work for the good of society. Its mission is to strengthen the voice of society in the reform of financial regulation by conducting advocacy and presenting public interest arguments to lawmakers and the public. FW’s members include consumer groups, housing associations, trade unions, NGOs, financial experts, academics and other civil society groups that collectively represent a large section of European citizens. FW’s founding principles state that finance is essential for society in bringing capital to productive uses in a transparent and sustainable manner, and that the legitimate pursuit of private interests by the financial industry should not be conducted to the detriment of society. In the ENLIGHTEN project, FW co-leads research on Banking Crisis and Financial Stability with UVA, especially delivering expertise on European financial regulation and the management by EU institutions of the last financial crisis. Established in 1988, CECODHAS is the European Federation of Public, Cooperative & Social Housing (non-profit) - a network of 42 national and regional federations, which together gather about 41,400 public, social and cooperative housing providers in 18 countries. Altogether they manage over 25 million homes, about 12% of existing dwellings in the EU. Social, public and cooperative housing providers have a vision of a Europe which provides access to decent and affordable housing for all in communities which are socially, economically and environmentally sustainable and where everyone is enabled to reach their full potential. For CECODHAS, the priority for the European Union and its member states in the field of sustainability, energy and climate in the next decade should be to develop a positive business environment for the reduction of energy consumption in the housing sector, with specific attention paid to the affordable housing sector. In the ENLIGHTEN project, CECODHAS co-leads research on Deficit reduction and Continuity of Public Services with CEU.